KHCA is a non-partisan neighborhood organization dedicated to representing the interests of homeowners and residents of the Kensington Heights Neighborhood. We are an organization within which homeowners and residents can come together to acquire and disseminate information and support each other in our common goals of maintaining and enhancing the quality of life in our community. KHCA operates without regard to age, color, disability, family responsibilities, gender, gender identity or expression, genetic information, marital status, matriculation, national origin, personal appearance, political affiliation, race, religion, or sexual orientation. KHCA is also a part of the Montgomery County Civic Federation. To preserve and enhance the quality of life in the Kensington Heights Neighborhood. To promote community engagement and provide activities to bring KHCA members together. To serve as a liaison between the KHCA members and our elected officials. To continue to build a bright future for the place we call home. The link below includes amendments passed in 2017. The KHCA Executive Committee – President, Vice President, Secretary and Treasurer – are elected for a two-year term. The election takes place during a general meeting (or by proxy) where a quorum of 30 dues-paying members is needed. A slate of candidates is identified by a Nominating Committee. Other members of the KHCA Board are persons who have volunteered to serve as committee chairpersons or in other capacities. Elections were last held in October of 2017. 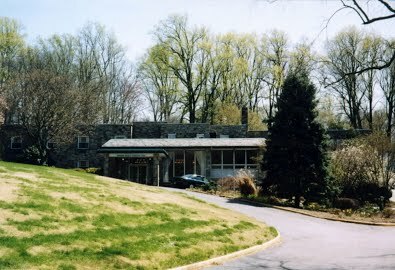 The community now called Kensington Heights was part of the 1689 land grant of more than 4,200 acres called Joseph’s Park, extending roughly from what is now Georgia Avenue to Rock Creek and including what is now the town of Kensington and part of Wheaton. Originally consisting of large tracts of open farmland, Joseph’s Park was eventually broken into smaller parcels and sold, or leased to tenant farmers. Just before the Civil War, the Baltimore & Ohio Railroad made public its plans to extend a branch of the railroad through this area from Washington. This announcement excited the real estate market and by the time the first train began stopping at Knowles Station (1873), a small community was already developing there. Between 1880 and 1890, 10 subdivisions were recorded in the area including Kensington Park, North Kensington, and apparently Kensington Heights. The train station’s name was changed from Knowles to Kensington in 1891, and the actual town of Kensington was incorporated in 1894. The original name of Drumm Avenue was Warner Avenue. Warner Avenue was named after Brainard Warner, who bought up many farms around the planned Knowles Station and was instrumental in developing the area as a summer retreat for Washington’s elite. It was Warner who named one subdivision “Kensington Park” because he was impressed with London’s suburb Kensington Garden. Plyers Mill Road (named after the first Postmaster of Wheaton, George Plyer) was originally called Maynard Avenue. The first roads in Kensington Heights were McComas Avenue (ending in Truesdell Circle), Warner Avenue, and Faulkner Place (ending in Faulkner Circle). Kensington Heights included some land on the other side of Jefferson Street (now University Blvd.). St. Paul Street was originally called Madison Street. Thank you! You will receive updates by email.